It’s nice here at Star Kids International Preschool. We are right in the heart of Tokyo, by Shiba Park (Shibakoen) and Tokyo Tower, and on days like this it’s great to get outside while the sun is shining. Our school program is very active and we encourage outdoor activities and play. If the sun is out (and sometimes even if it’s not), you will find us outside in the park enjoying the weather, taking nature walks and generally having fun. If you see us, why not come up and say hello? We are easy to spot. We will be the ones in the bright red t-shirts with the Star Kids logo! We are a friendly bunch so come say hi and join in! We love making new friends! 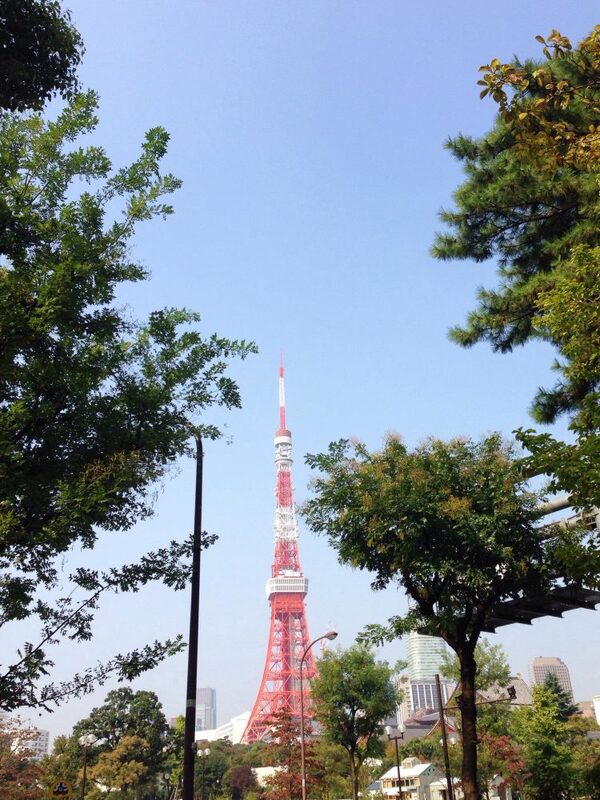 Here is a snap we shot we took of Tokyo Tower while we were out for a walk this morning. Why don’t you come check us out at Star Kids International Preschool? If you want to come visit our school, We’re just one minute walk from Shibakoen station and four minutes from Daimon station. We are pretty easy to find. If you can see Tokyo Tower, you are close! However, if you get lost, you can always give us a call and we’ll direct you. Check our contact page to find us on the map. You’ll also find the address for our school on the contact page or in the footer below. So send us an email or give us a call to arrange an interview. We can’t wait to meet you! See you soon at Star Kids International Preschool.